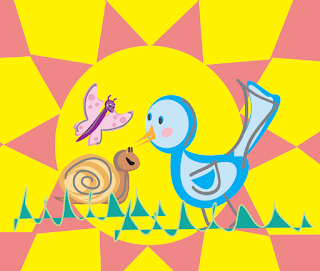 Pollyanna Theatre's In My Own Backyard is an interactive theatre experience for very young children, best for kids ages 2-4 years old. Mr. Sun would like to invite you to meet Squig and Lolly! These two best friends awake one morning to find ordinary objects leading them on extraordinary adventures. This premiere production of Pollyanna Theatre’s Play and Play series provides young audience members, 2-4 years old, a chance to be audience members for a 'play' as well as to 'play' alongside Pollyanna artists during this one-hour experience. Mr. Sun has lots of fun in store for Squig, Lolly and all their friends as the adventure builds up to a backyard picnic for all! When: June 10, 11, 12, and 13 at 9:30 & 11:00 a.m.